East-West tensions and Arctic militarization notwithstanding, the soft approaches of the Barents Cooperation must be core in relations with Russia, leader of Norway’s Standing Committee on Foreign Affairs and Defence argues. 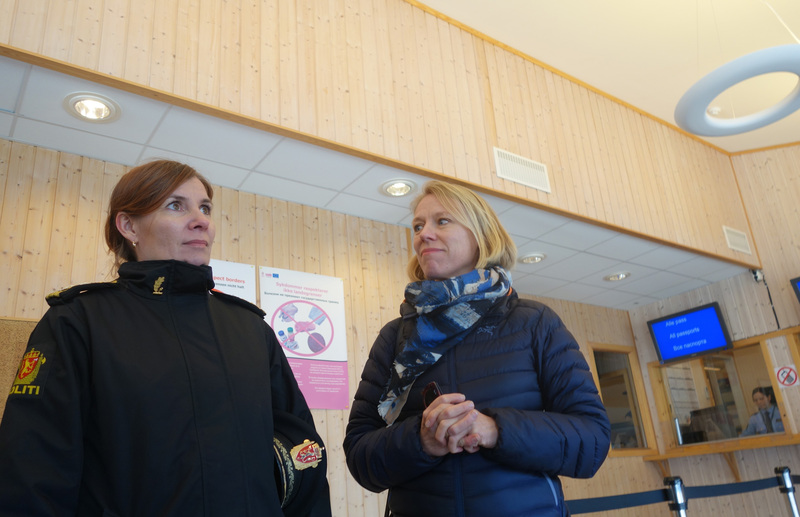 «The concrete collaboration with Russia, the people-to-people cooperation and the political contacts, must continue», Anniken Huitfeldt says as she today pays a visit to the Norwegian border crossing point of Storskog. «After what happened in Ukraine, the importance of the Barents Cooperation is even more important than before», the politician argues. Huitfeldt leads a delegation from the Norwegian parliament Standing Committee on Foreign Affairs and Defence as it tours Arctic Norway. Next week, the delegation will proceed to Svalbard, the Arctic archipelago. As the committee members stand on the borderline between the two countries, local police officers give an introduction to the hardships experienced on the spot during last fall’s migrant crisis. In the course of three months, more than 5000 migrants came across the border and stirred a state of crisis in Norwegian reception capacities and a political hassel with Moscow. A new report from the Police Directorate concludes that Norway reacted far too slowly to the crisis and that there was as a lack of coordination between the Ministry of Justice and Ministry of Foreign Affairs. The report, obtained by newspaper Finnmarken, also says that Minister of Justice Anders Anundsen wanted to «test reactions from Russia» and consequently pushed for the return of migrants across the border. That was not well perceived by the Russian side. The flow of migrants across the border came to a halt on November 27th after political talks in Moscow. The visit to Storskog by the Foreign Affairs and Defence Committee comes as political relations between Russia and the West are on a historical low. That affects also relations in the Arctic. «We must be firm and constructive in our dialogue with Russia, and try to understand the way the country acts and ourselves act thereupon», Navarsete says.